Located primarily in Tarrant County in the state of Texas, the city of Grapevine is an historic community of more than 50,200 residents. The city’s history began in 1843, when General Sam Houston and other representatives of the Republic of Texas signed a peace treaty with 10 groups of Native American peoples. The pact was made in an area known as Grape Vine Springs, otherwise known as Tah-Wah-Karro Creek. The resulting Treaty of Birds Fort opened the area to homesteaders and immigrants. 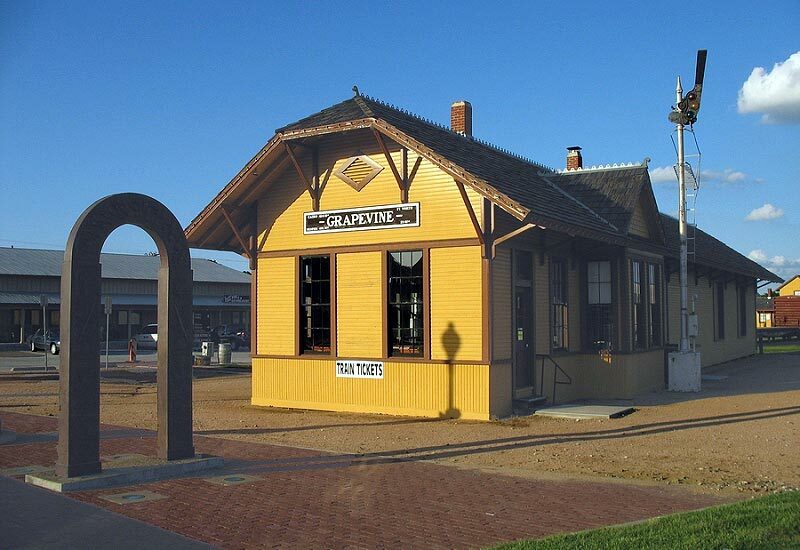 The community, first established in 1844, was named after the Grape Vine Springs and the Grape Vine Prairie, which in turn were named such because of abundance of wild mustang grapes in the area. In 1952, the nearby Grapevine Lake was completed by the US Army Corps of Engineers. Today, the city is known for its historic downtown area, its urban wineries and wine tasting rooms, and its world-class theme parks like the Legoland Discovery Center and Sea Life Grapevine Aquarium. While flying carpets are a stuff of legends, precious area rugs are actual domestic accent pieces which have graced our homes for centuries. Oriental rugs, in particular, are highly valued for their beauty and the exquisite craftsmanship afforded to them by artisans from countries like India, Pakistan, Turkey, China, Tibet, and Iran. In order to keep fine area rugs in tip-top shape, it is important to bring them to a professional rug cleaner in every once in a while. By doing so, you will not only keep your favorite area rug looking fresh but it will also help remove dust and allergens that could potentially put your family’s health at risk. In Grapevine, Texas, people have been counting on Dalworth Rug Cleaning for the fine professional cleaning of their area rugs for nearly four decades now. As one of the state’s leading rug cleaning service providers, we perform a variety of rug cleaning, protection, and repair services to make sure that our customers will be able to enjoy their rugs for many years to come. From pet stain and pet odor removal to fringe repair and provision of customized rug pads, our products and services help keep rugs sanitized and looking new. Our staff is composed of individuals with many years of experience in the industry, allowing them to perform their tasks with the kind of efficiency and expertise you expect from truly professional rug cleaners. As such, you can be sure that your rug will receive only the most appropriate and effective treatments available. Please call us today at 817-318-6121 and get in touch with our representatives so they can help you with your requirements. You may also reach us via our contact page. All customers in Grapevine, TX and the Dallas-Fort Worth Metroplex are entitled to free pickup and delivery services. Outstanding service. Exceptional value. Impeccable craftsmanship. STANDING OVATION!! I'm very happy I used Dalworth rug cleaning. I had a white rug that was stained and not nearly as soft as it used to be (which was the main reason I bought it!). After Dalworth cleaned it, it was so soft again and bright white! I will use Dalworth again next time I need my rug cleaned! Everyone from Dalworth with whom I met or spoke was very friendly, efficient and professional. Thanks! I am interested in getting a quote on getting an 8'X10' rug cleaned. Can someone please email me a quote. Thank you. Hi, You currently have an ad on our DFW Marketplace.com. Robin Marriott was your rep for our office CENTURY 21 Mike Bowman, Inc. and I believe she no longer works there. The ad is up for renewal ($389.70) soon. Do you have a new business development person? Are you interested in renewing your ad? I can send you more info and a link. Thanks! I have two carpets that were damaged by water, need to be cleaned. I have a couple of large area rugs that need cleaning. 9ft x 12 ft. could you please call me for a cost estimate? I have an 8x10 rug that I need to have picked up and cleaned. I have a brand new rug that has about 5 small red stains on it. I am looking to see how much it would cost to have it cleaned? I really just need spot cleaning but not sure if this is possible. Thank you. Estimate on rug cleaning, 3 bedrooms, hallway, living room. Need living room rug cleaned, have allergies. Would like to have rug picked up this week if possible and amount of cleaning.